An almost life-long resident of Kansas, Ms. Carmody attended law school at University of Missouri at Kansas City, graduating in 2008. Being a motivated self-starter, she opened her own firm after law school and has never looked back. 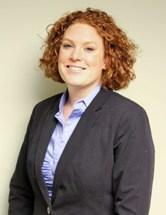 Since 2008, Ms. Carmody has found a passion for family law. She was raised by a single mother and is now a mother herself. Ms. Carmody practices exclusively in family law and concerns herself not only with the legal process of her client’s matter, but most importantly with their children. She is committed to a smooth transition for children during the difficult process of divorce or other custody disputes. Ms. Carmody is licensed in both Kansas and Missouri and practices extensively in both states. She is also a certified mediator. Ms. Carmody serves on a variety of legal committees including an Executive Committee member, Family Law Section, Kansas Bar Association; and Associate at American Inns of Court, Johnson County Family Law Section.